Lone Pine Peak, Alabama Hills, East Side of the Sierra Nevada, California, 1978 by Philip Hyde. This photograph is an example of Philip Hyde's receptive approach. He often went against the standard wisdom and made photographs in the middle of the day. He was in the vicinity at this time and had a hunch to turn off and visit the Alabama Hills because of the fresh snow on the Sierra Nevada peaks. He drove around and got out of the vehicle and walked around with his view camera. 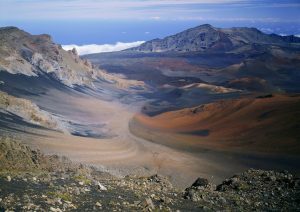 The picturesque parallel curves of the three boulders with the angular peaks in the background presented themselves to him. 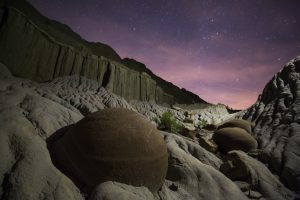 This image is in contrast to photographs by Galen Rowell, who lived in the area, could visit the Alabama Hills when lighting conditions or the alpenglow was at its best. Galen Rowell made a number of memorable images of the Eastern Sierra Nevada. 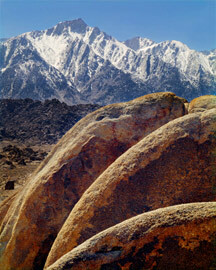 Carr Clifton was the first to photograph the Alabama Hills' Mobius Arch with the Sierra Nevada behind in March 1983. 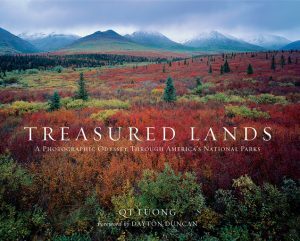 Carr Clifton's photograph was first published in the 1985 Sierra Club Wilderness Engagement Calendar. Galen Rowell made a different photograph of the arch much later in 2001, but he may have made an earlier photograph of the arch. Since then the image has been copied over and over by subsequent outdoor photographers who rather than using Galen Rowell's visioning, Philip Hyde's receptive approach, or any creative method of their own, came to the landscape looking for a specific landmark to add to their checklist. Galen Rowell and Philip Hyde differed in their process for choosing photographs. Galen Rowell observed certain elements in the natural setting and then visualized a scenario where those elements came together. By sheer will, attractive power and personal dynamic energy, he would very often vision into being the very circumstances for the photograph he had imagined. Philip Hyde had a nearly opposite approach to finding photographs. His was a yin, receptive, and contemplative method. He would still his own inner processes, tune into the land around him, and allow it to fill his being until a photograph came forward. He was interested in letting photographs present themselves by attaining a quiet composure and seeing carefully. 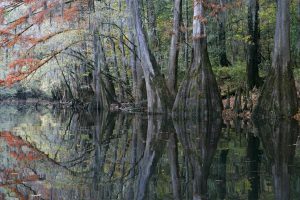 As can readily be seen in the work of these two outdoor photographers, either method can result in spectacular images. 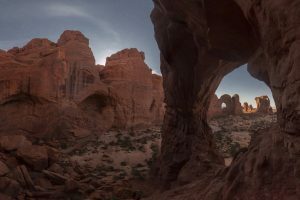 A developing outdoor photographer can experiment with these two differing styles, see which he or she prefers overall, or use each method in different circumstances. I’m sure that both Galen Rowell and Philip Hyde used an opposite approach to their standard one at times, or tried a hybrid sometimes too. In my own experimenting with the two ways, I have found that in most instances the two methods produce very different photographs, but there are instances when they produce the same photograph. Sometimes I find I am meant to make a certain image whatever process I use. At other times the two methods themselves can even end up feeling the same or merged, as opposites sometimes do. Galen Rowell applied his visionary process when he made his most famous photograph, “Rainbow Over The Potala Palace.” He described it in his book, Galen Rowell’s Inner Game of Outdoor Photography . Galen Rowell for years studied atmospheric conditions in the Sierra Nevada, interested in discovering what caused alpenglow and how he could capture it more consistently. 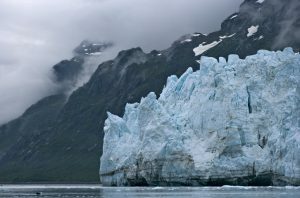 He also had studied the physics of light and how it affected conditions for the outdoor photographer. In the book, Galen Rowell explained that he saw the rainbow beginning to form, observed the water vapor conditions that cause rainbows and ran a great distance across the field knowing that odds were good that if he positioned himself just right, the rainbow would end on the Dali Lama’s Potala Palace. 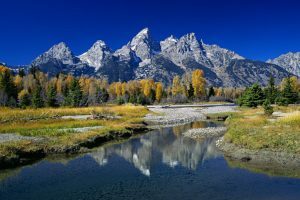 Getting these factors to line up this way not only took mental focus and determination, but also specialized knowledge and diligence in understanding the science behind the craft of the outdoor photographer. “My vision came true as the sunlit curtain of falling rain stayed in place while the rainbow moved with me in relation to the sun,” Galen Rowell wrote. “I used a telephoto lens to magnify part of the bow as a spot of light came through the clouds onto the palace.” Galen Rowell described his whole process more in his book. Every photographer has a definable style, but I spent at least a decade worrying that I didn’t. If someone asked me what my artistic goals were, I would mumble platitudes about capturing my vision of the wilderness and pursuing light. I feared that my diverse work was adrift in an ocean of outdoor photography…. I also had a disdain for externally directed photographic styles, which continues to this day. For example, I was deeply offended by work that called attention to itself by some artificial device (such as an introduced color filtration, weird lens, strange darkroom twist, or exaggerated grain) to stylistically link photos that otherwise lacked an internal message. I liked deceptively simple pictures that drew more attention to honest vision than to technique…. Ansel Adams wrote eloquently about the difference between external and internal photographic events. The most meaningful photographic styles are always reflections of the internal. We react not so much to what an outdoor photographer sees, but to how he or she sees and renders the subject for us. Personal style comes from within, from a photographer’s unconscious and conscious choices. We usually pass over a photograph devoid of emotional reaction to its subject and say, ‘This doesn’t do anything for me.’ Of course it doesn’t. The photographer didn’t have his or her heart in it. Devoting personal energy to a photograph isn’t enough unless that energy is internalized. An easy way to block the internal message is to be overly concerned about results. For example, knowing their top images will be critiqued in front of the group, workshop participants out for an afternoon shoot often wander around shooting nothing because they have created unrealistic expectations for themselves…. Pros on a major assignment can easily allow externally directed cues to block the very style that caused the client to hire them…. One solution for a blocked-up photographer is to write an imaginary letter to an internal self: Wish you were here to see this. You wouldn’t take the boring photo I’m considering right now because you’d respond by… People avoid developing a personal style by emotionally distancing themselves from their work…. However, some sort of personal stamp does sneak through, even in the most banal photography. The balance of foregrounds to backgrounds and the choice of subject matter are among the subtle clues that the images were made by a thoughtful human being rather than by a monkey or some machine. The central process of art is not to render something exactly as it appears, but to simplify it so that meaning, clarity, emotional response, and a sense of wonder combine to create a style from within. Which of the two approaches does your own method most resemble for outdoor photography? Billboard And Sign, Pacific Coast Highway, Pacific Palisades, California, 2009 by David Leland Hyde, Nikon D90 hand held. People have asked me to give a little tasty taste of what I photograph, ponder and write about while I’m on the road on the way to a Philip Hyde exhibition opening, or while I’m lugging around framed prints. I did write something called “The Santa Monica Experience,” that I sent as an e-mail to my list of friends of Philip Hyde Photography on November 7, 2009. I wrote it at a friend’s beautiful house, not even close to the largest in the neighborhood, but way above my status. I wrote the e-mail sitting in my friend’s guest suite looking out at the swimming pool, lawns, orange trees, lemon trees, and several other fruit trees while the smell of exotic flowers filled the air. I was visiting Pacific Palisades, between Santa Monica and Malibu on the Pacific Coast Highway, in my Dad’s tan 1984 Ford Van, with a dent on the right side and the paint peeling off, parked in the driveway. I had just returned from leaving 30 framed archival fine art digital prints at Santa Monica College for the upcoming exhibition. Wow, SUNSHINE! I love L. A…. 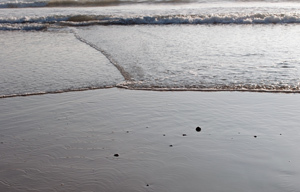 Waves, Beach, Santa Monica, California, 2009 by David Leland Hyde, Nikon D90 hand held.